Founded in 2010, Project Moshen set out to revive the style of jazz dance in Philadelphia. Combining the artistic side and the commercial side of dance, Artistic Director Kelli Moshen, blends the two styles & elements together to showcase her fast, intricate, urban style of jazz dance. Project Moshen produces two shows a year, performs at various events, visits schools in the community, and holds master classes at Philadelphia area universities. Through these efforts, the company hopes to spread their passion, creativity, and knowledge of jazz dance to the community, along with bringing this style of jazz back to life in Philadelphia. This past weekend, Project Moshen Dance Company presented their fifth annual performance series, ”Artistry Unfolded,” at the Institute of Dance Artistry’s Black Box theatre, in Fort Washington, PA. Artistry Unfolded, aims to gather dance artists from the Philadelphia area under one roof to perform in an intimate black box setting. Artistry Unfolded was created as a platform for local artists and dancers to present fresh dance work, gain feedback on work in progress, and allow new audiences exposure to their art. Artistry Unfolded is a great performance environment for professional and pre professional dancers alike. This year, Project Moshen had an incredible line up of performances including IDA Repertory Company, Freestyle Dance Academy, Daniela Galdi, Natalie Flynn, Dance One Studios, Labyrinth Dance Company, Yuki Ishiguro, Methods of Modern, Beyond Dance Company, Narissa Fell and the Dance Work Dancers. The dancers of Project Moshen Dance Company also hit the stage to give the audience a preview of “Waterfalls,” which will debut April 28th, at the Performance Garage in Philadelphia, PA.
Artistry Unfolded started off with a light-hearted, upbeat jazz duet from Project Moshen’s 2016 production “Coming Home.” Performed by ProMo dancers Katie Book and Danielle McGilligan, the piece was se to Duke Ellington’s “Swingers Jump,” and got the audience moving and grooving in their seats. An exciting program of Philadelphia artists & companies followed the dancers of Project Moshen, including a solo performance by Daniela Galdi that displayed the strong desire to have someone and to be someone. The IDA Repertory Company showcased their newest piece, choreographed by Project Moshen’s Artistic Director, Kelli Moshen. Moshen revised her 2014 piece “Underworld” on the IDA Repertory Company, and they will open Project Moshen’s upcoming 2017 production,” Waterfall.” Freestyle Dance Academy got the audience dancing and clapping, while their B-Boys and B-Girls tore up the stage to Bruno Mars. Yuki Ishiguro performed his piece “Breakin’ Flow,” which shows off his contemporary dance style, which blends martial arts and dance, from his piece TRANSCENDENCE. Narissa Fell choreographed a beautiful contemporary dance to Zoe Keatings “Insist,” which was showcased by the dancers of Quakertown DanceWorks. Other amazing performances included Beyond Dance Company, MethodsofModern, Labyrinth Dance Company, Natalie Flynn, and Dance One Studios. Artistry Unfolded closed with Project Moshen’s newest piece, “Madness,” which portrays Project Moshen's style of precision & power. Fast, intricate, athletic, fierce movement that will give you chills as you watch the dancers on stage. Madness will premiere in Project Moshen’s Spring Production,” WATERFALL” April 28-30 at the Performance Garage. Project Moshen would like to thank all the participating companies in the 2017 Artistry Unfolded. Project Moshen thanks all their company members for their awesome performance and help to make AU 2017 a success! Artistry Unfolded 2 WEEKS AWAY! 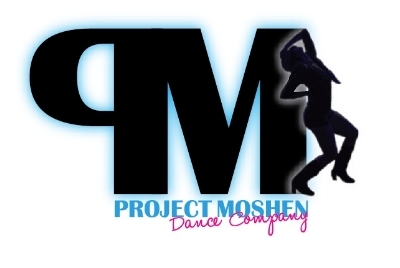 Sign up with your email address to receive show dates, upcoming events & dance classes, news & more about Project Moshen Dance Company.